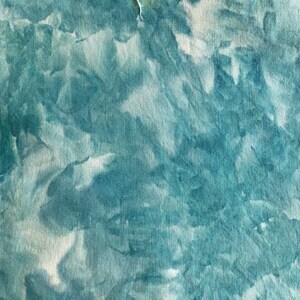 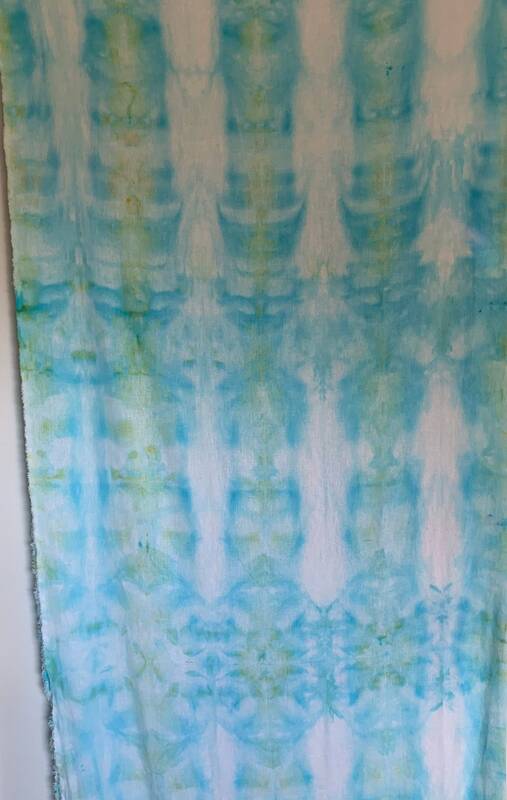 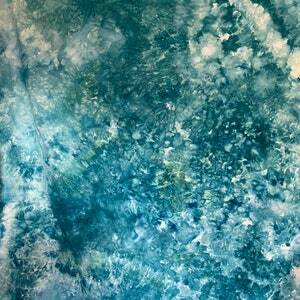 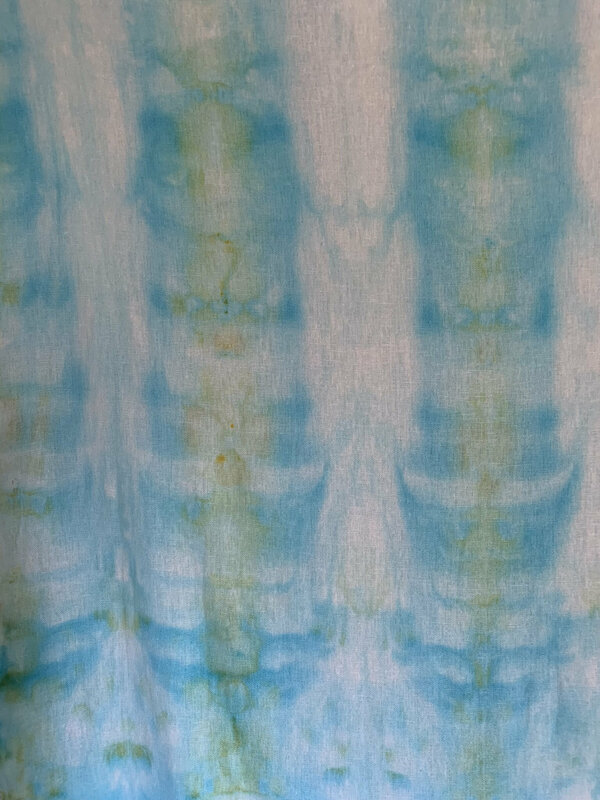 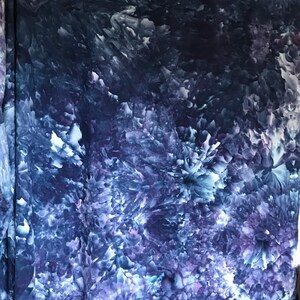 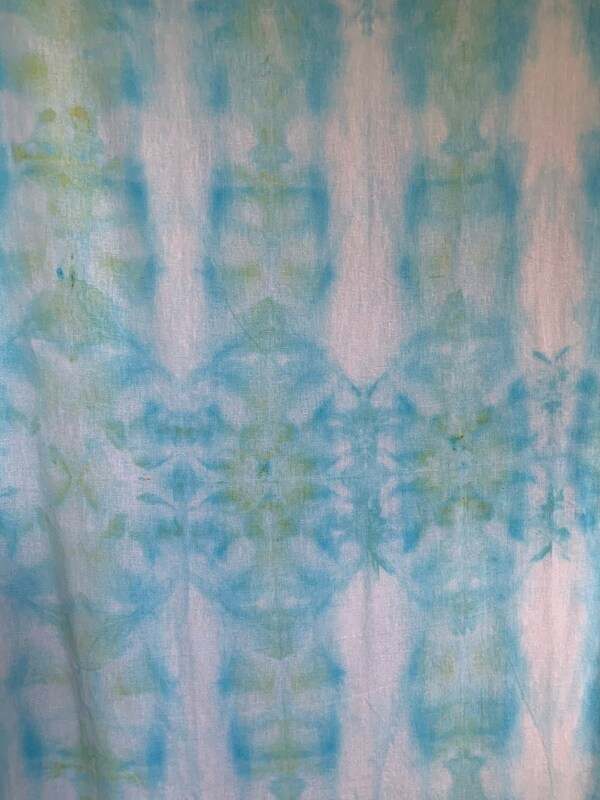 Hand dyed, linen rayon in ice dyed shibori. 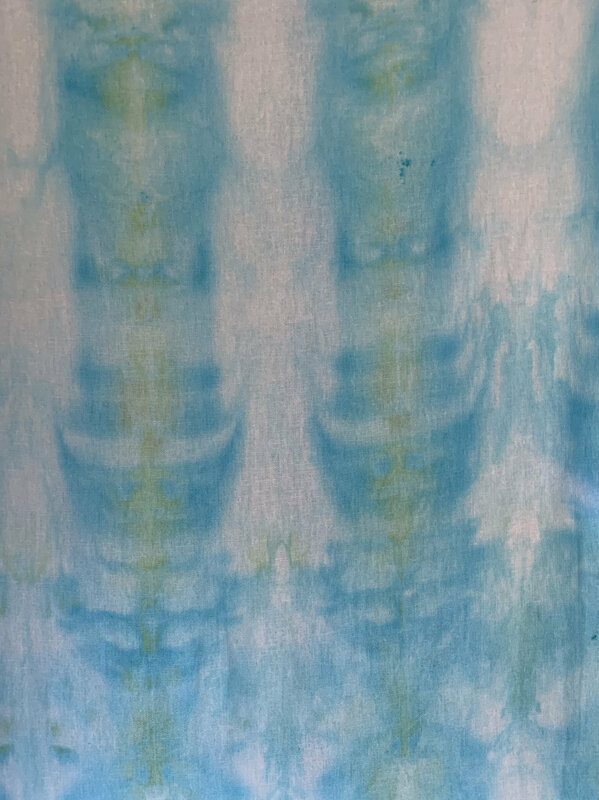 Hand dyed in Parakeet blue this color ranges from subtle greens and hints of yellow to summer turquoise. 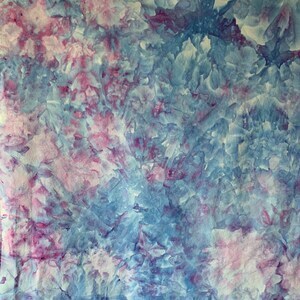 This fabric is great for summer tops, as sashing and blenders in quilt tops, and other cotton sewing needs. 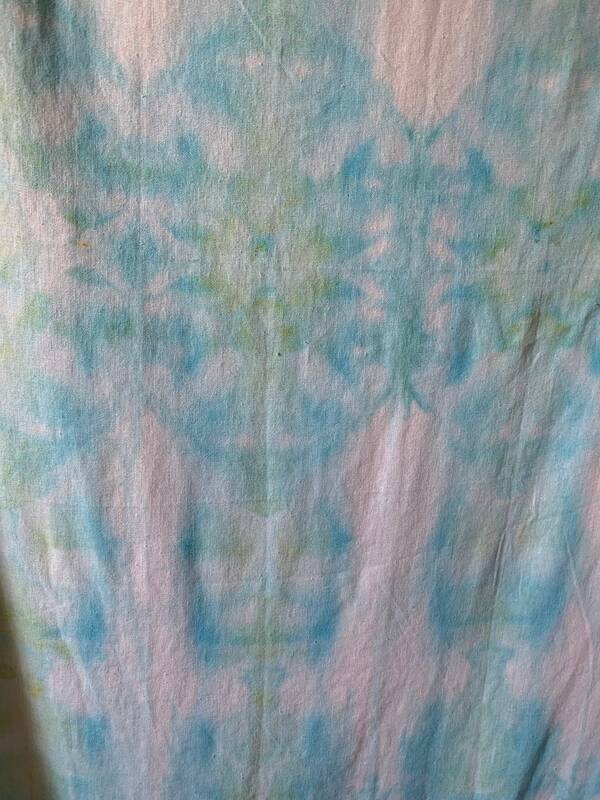 It makes a great pillow covering.